Hello and welcome to the 616th installment of the SWD. Al-Jaysh al-Watani al-Suri (Syrian National Army) conducted security operations in the city of Al-Rai in northern Aleppo. The operations concluded with 17 wanted individuals surrendering to the military police, while around seven wanted individuals fled from the area, with reports that some of them went to Idlib governorate. Unknown gunmen killed an element of the Turkey-backed Free Police in front of his house in the village of Sheikh Rih, east of Azaz. 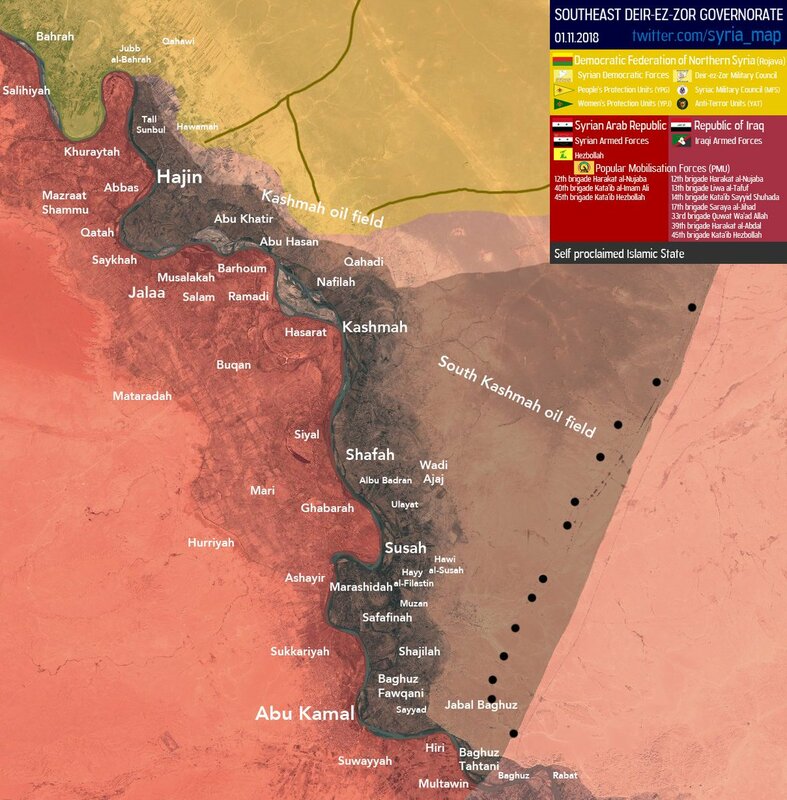 Syrian Democratic Forces repelled an Islamic State’s attack north of Hajin. Reports claimed that around 17 elements of the Islamic State were killed in the failed attack. Islamic State reportedly executed two civilians on the charges of cooperating with the CJTF-OIR and the Syrian Democratic Forces in the village of Al-Shifa in eastern Deir al-Zour. The executed individuals allegedly provided the CJTF-OIR with coordinations of Islamic State’s military headquarters in the locality. Syrian Arab Army arrested four former commanders of the Free Syrian Army’s Al-Liwa al-Awl (1st Brigade); Abu al-Tayeb, Moro, Abu Mahjoob, and Abu Fuad al-Habashi in Barzeh district of Damascus. The arrested commanders were reportedly transferred to Harasta. Reports claimed that the Syrian Arab Army arrested the commanders after founding a quantity of weapons in a basement in Barzeh district. Islamic Emirate of Afghanistan (Taliban) overran an Afghan National Army’s post in Baish Qara area of Almar district. Seven elements of the Afghan National Security Forces were killed in the encounter. Islamic Emirate of Afghanistan seized an RPG launcher and four assault rifles from the post. Afghan National Security Forces reportedly killed 16 elements of the Islamic Emirate of Afghanistan in Archi (Dasht-e Archi) district, according to the Afghan Ministry of Defense. Afghan National Security Forces reportedly killed 19 elements of the Islamic Emirate of Afghanistan and destroyed three vehicles in Azra district, according to the Afghan Ministry of Defense. Islamic Emirate of Afghanistan ambushed a large Afghan National Security Forces’ convoy in Qala i Naw district. According to the Islamic Emirate of Afghanistan’s Al-Emarah News, 30 elements of the Afghan National Security Forces were killed and 40 wounded, as well as three supply trucks and three armored vehicles destroyed in the ambush. Islamic Emirate of Afghanistan’s snipers wounded four elements of the Afghan National Army in Ghazni district. Afghan National Security Forces killed five elements of the Islamic Emirate of Afghanistan in Nahri Saraj district. Islamic Emirate of Afghanistan’s snipers killed and wounded four elements of the Afghan National Security Forces in Loy Manda, Parchawi, and Chah Injir areas of Nad Ali district.